Did you know that windows installed before 1995 are considered obsolete in energy terms, and that the German Energy Saving Ordinance (EnEV) specifies an insulation value of 1.3 W/m²K for energy saving windows? Weru thermal windows, even with standard glazing, achieve a value higher than specified by the German Energy Saving Ordinance (EnEV). Thermally insulating triple glazing from Weru achieves a Uw value as high as 0.68 W/m²K, thereby multiplying your saving potential. The glass spacer is also important in this respect. It keeps the thermally insulating inert gas in the pane interspace and prevents the ingress of water vapour. 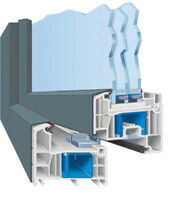 Highly thermally insulating PVCu/glass spacers reduce the pane hardware above the glazing bead. There is another very important factor for thermally insulating windows: professional installation. 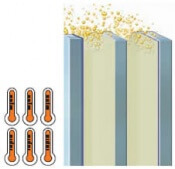 If, for example, the connection joint is not correctly sealed, moisture can condensate out of the air and accumulate in the installation foam. 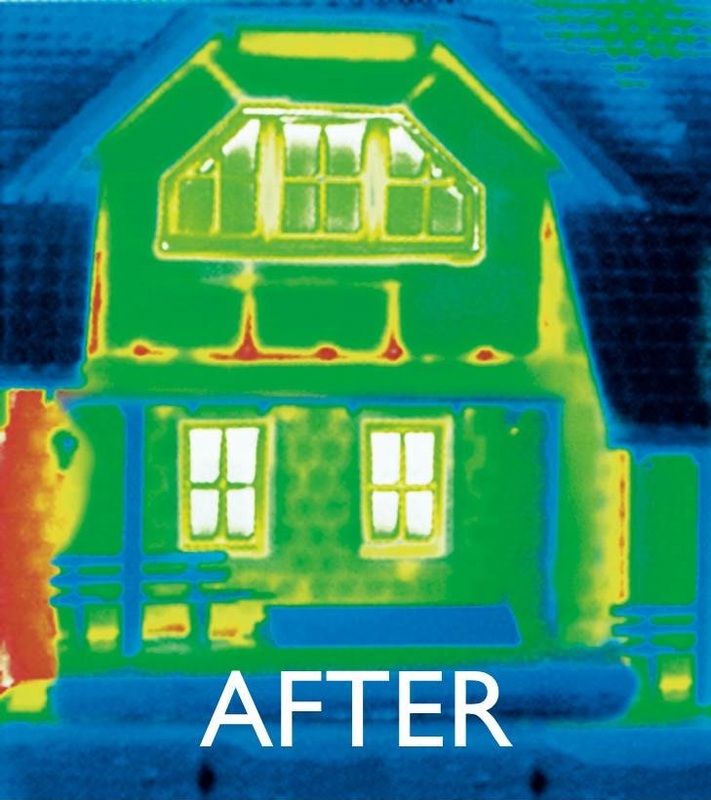 Such a humidity penetration of 5% reduces thermal insulation performance by 50%! If this fault remains undiscovered, it can lead to long-term moisture damage and mould infestation in the window connection joint. Very expensive repairs can follow. Contact your Weru specialist dealer. He will guarantee qualified installation in accordance with the new EnEV. You can easily find a thermal insulation professional near you using the specialist dealer search at the top right of this page. Did you know that old leaky windows are without question among the worst energy guzzlers? This doesn’t have to be the case. Activate your energy saving potential with Weru windows. 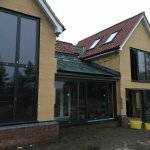 Our windows achieve thermal insulation values that are coming increasingly closer to those of solid brickwork.  This means that the stringent requirements of the German Energy Saving Ordinance (EnEV) can also easily be met. 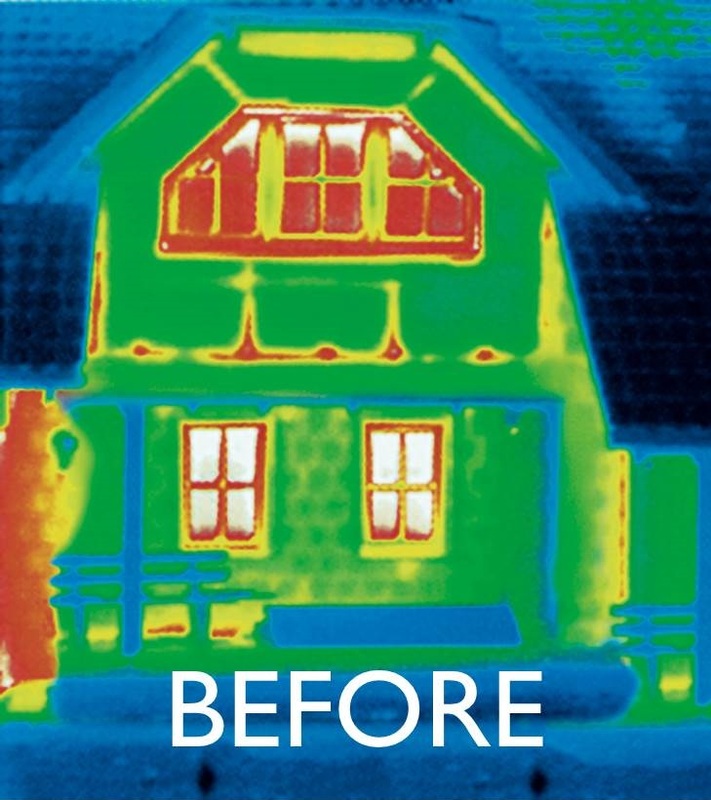 Thermal protection measures for glazing, pane interspace and glass spacers are key to achieving this result. Weru insulating glass is coated with ultra-thin metal foil and allows the sun’s short-wave light radiation through, but reflects the long-wave thermal radiation back into the living area. The inert gas fillings in the space between the two panes do the remaining work that is required to increase the degree of thermal insulation. Double thermal glazing with argon gas filling and aluminium spacers: standard glazing with a Ug-value of 1.1 W/(m2K). Triple thermal glazing with two coated panes, argon gas filling and aluminium spacers: the thermal insulation option with a Ug value of 0.8 W/(m2K) with a high energy transmittance. 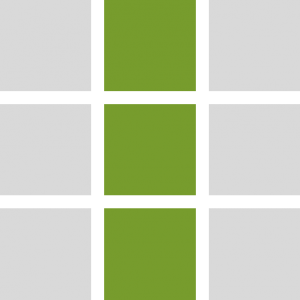 Triple thermal glazing with two coated panes, argon gas filling and aluminium spacer: the thermal insulation option with a Ug value of 0.7 W/(m2K). 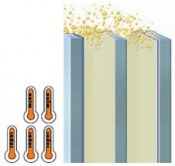 Triple thermal glazing with two coated panes, krypton gas filling and stainless steel spacers: the thermal insulation option with a Ug value of 0.5 W/(m2K). 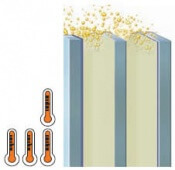 Triple thermal glazing with two specially-coated panes, krypton gas filling and stainless steel spacers: the thermal insulation option with a Ug value of 0.4 W/(m2K). Small component, big effect. As glazing edge compound, the spacer retains the existing inert gas in the space between the panes and prevents the ingress of water vapour. Aluminium spacers are temperature, UV and age-resistant, absorb dynamic stresses and, with a length-specific thermal transmission coefficient of 0.064 W/(m2K), also have excellent thermal insulation properties. Stainless steel spacers consist of more effective heat insulating material with a length-specific thermal transmission coefficient of 0.048 W/(m²K) for triple-glazed thermal insulation glazing. 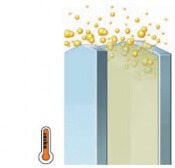 This minimises the risk of condensation forming above the glazing bead. Besides the glass, the frame construction, in other words the window profile, also makes an important contribution to a window’s thermal protection. The key thing here is that there is an optimum ratio between the number and dimensions of the profile air chambers and the installation depth of the profile. The profile interior of the Castello window system is the best-matched ratio between number of chambers, chamber dimensions, installation depth and achievable Uf-value. As well as excellent thermal protection, this profile construction boasts impressive stability thanks to the very large chamber reinforcement. The thermal insulation value is further improved by the thermal separation introduced between the steel reinforcement components. 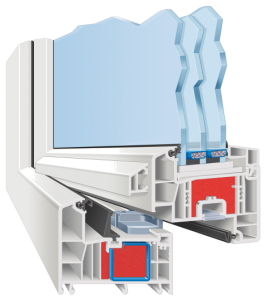 For even higher thermal insulation requirements, Weru offers the AFINO window systems with 6-chamber profile system. Optimally harmonised profile parameters, such as installation depth, chamber size and number of chambers ensure the profile has the best thermal insulation properties. 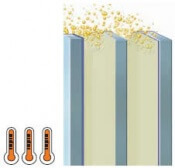 These thermal insulation properties can be further improved by a profile that is foam-filled all the way around – the ThermoPlus profile. 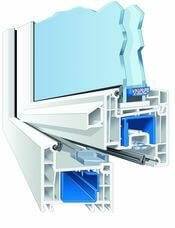 * * The UW value is based on the standard dimension 1.23 m x 1.48 m – standard frame and sash profile with centre sealing.